Pure Silver flake are rich in nature which give exotic look to food and desert with healthy feel. We are one of the leading traders of a vast range of Silver Plating Mud waste. We offer silver flakes. These silver flakes are manufactured by the team of dedicated professionals using international quality standards raw materials in the sturdy infrastructure. Our silver flakes are available at market leading price range and is highly demanded in the global market. Silver chura popularly known as silver flakes is manufactured by us using the purest form of silver. Silver flakes are basically used for decorating various food items, sweets etc. thus adding a beautiful look to it. Our experts also test the products for all quality measures and ensure that only the best product is reaching the market. M & M Kalra Trading Co.
We bring forward premium quality Silver Scrap. Silver's unique properties make it a very useful 'Industrial Commodity', despite it being classed as a precious metal. We can provide Silver Scrap in medium as well as bulk quantities with the stipulated timeframe. The demand for silver is built on three main pillars that are industrial uses, photography, and jewellery. In order to attain the maximum satisfaction of our customers, we are presenting Silver Scrap with minimum damage. 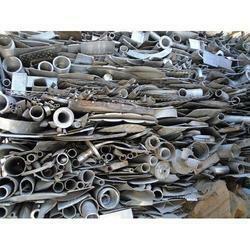 Our Silver Scrap include various types of products silver products. Also, our company clears each and everything with the customers before providing this scrap to the customers.